Gophers have made many enemies at Robb Field in Ocean Beach, burrowing and creating numerous holes on the park’s playing fields. The San Diego-based Animal Protection and Rescue League (APRL), however, is not among that list of enemies. APRL is urging the city to find a non-lethal method to control the gopher population at Robb Field. To combat the rodents, the city currently uses a weekly poison bait that resembles seeds that gophers eat. The bait is placed in tunnels where gophers collect it and fatally ingest it. “They had someone coming out and baiting once a week, which we don’t approve of,” said APRL outreach director Christina Tacoronti. “They were also thinking about using other lethal methods to get rid of the gophers.” So far, however, ARPL has not taken further action than putting in a pair of calls to deputy director of community parks Clay Bingham. Bingham asked the group for a legal solution but said he has not gotten any feedback. You gotta LOVE the picture of Bill Murry’s Caddyshack nemesis, so to me poisoning them seems pretty barbaric. I understand the damage gophers do to the root systems of trees and plants but I think that there must be a more humane way to deal with what’s being conceived as such a big problem. Also, I don’t think that they eat trash like the link to the article said, but then I’m not a rodent expert either. Maybe a spay and neuter program? Just kidding about that for the gophers, but please do spay and neuter your pets. Pet overpopulation IS a real problem in America and between 4 & 5 million are euthanized each year. Unfortunately there aren’t many non-lethal methods methods of gopher control you can deploy to keep gophers out of parks. Although gophers live the majority of their lives underground, they can and do travel on the surface to get to a desired location. You’d have to make an above ground and underground barrier to keep them off the premises. Once they are there, you need to get rid of them fairly quickly due to the hazards the tunnels and mounds pose to children playing. A repellent isn’t going to cut it and will only drive them to neighboring properties where they will have a chance to reproduce in larger numbers. 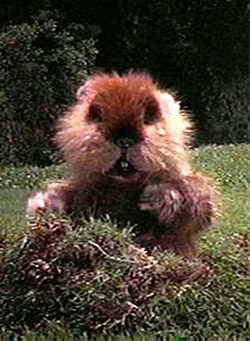 Relocating live gophers is illegal.